Anne Messenger knew it was time to take over her mother’s finances when she got a call from her mother’s bank. “She’d written a check for more than $7,000 — basically cleaning out her checking account,” recalls Messenger, president of Messenger Associates, a firm specializing in human resources consulting. Messenger’s mother had intended to pay Verizon for its monthly $37 bill. Instead, she wrote a check for the balance she saw in her checkbook. “That afternoon, I took over her finances,” Messenger says. It may not come in the form of a financial crisis, but changes in the care a parent needs is a real and growing concern. By 2030, there will be 72 million Americans that are 65 years old or older, according to the U.S. Census Bureau. 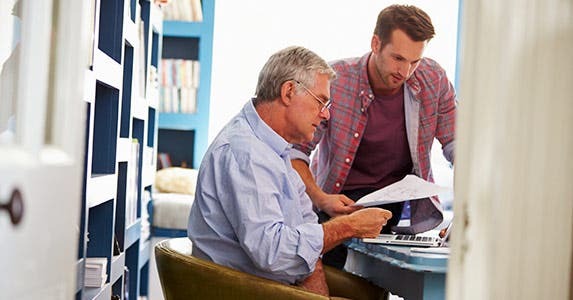 While only 25% of aging parents reported being stressed because of their adult children, nearly twice as many adult children stated they are stressed because of their aging parents, according to a survey by LifeBridge Solutions LLC. To ease concerns about an aging parent, preparation is the key. Here, experts offer steps to make sure your loved one receives elder care at the right time. Seniors may be reluctant to discuss the topic, as it can be tough to think about losing the level of independence they currently enjoy. Furthermore, it can be hard to consider declining health and changes in routine and activities. For best results, approach the subject openly, gently and repeatedly. “Listen to your parents, but continue to press and try creative reasoning,” Lauber says. Your parent may not immediately ask for help, but by bringing up the idea of elder care, you are laying the groundwork for future conversations. Once you’ve addressed the idea of elder care, ask your loved one to help create a set of documents that can be used in the future if needed. For essential information, prepare a binder, says Jo Holman, a certified senior adviser and owner of Home Helpers of Orange Coast, which serves Orange County, California. The binder should hold bank account information, investment details, emergency numbers of family members and medical information, such as the name of the senior’s doctor, current medications and list of allergies. Also include a plan that outlines your parent’s wishes for situations in which he or she may not have the ability to make decisions. This might involve documents such as a power of attorney, living will or health care proxy, which is a document that appoints another person to make health care decisions if a person is deemed incapable of making his or her preferences known. For Messenger, taking over her mother’s finances was a quick and simple process. She and her mother had accounts at the same bank. 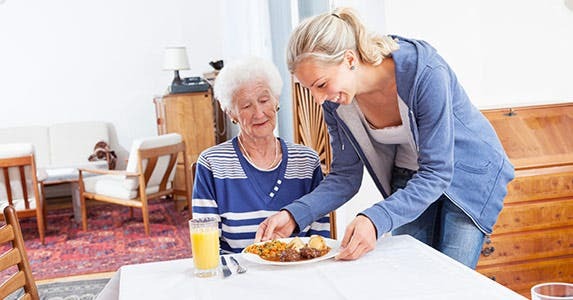 When searching for assistance for your parent, you’ll likely find a long list of options, ranging from home care help to meal services, adult day programs, assisted living centers and nursing homes. To learn what’s available in your parent’s area, contact the local Area Agency on Aging or use the Eldercare Locator on ElderCare.gov. Another option: Bring in a geriatric care manager. 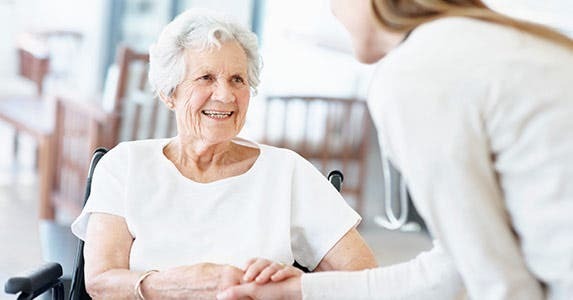 “Hiring a geriatric care manager takes the burden of designing and implementing a complete plan of care off the senior and his or her family,” says Dr. Kathy Johnson, CEO of Home Care Assistance. This professional will meet with your parent and family, ask questions and navigate all aspects of care, such as setting medical appointments and hiring caregivers. 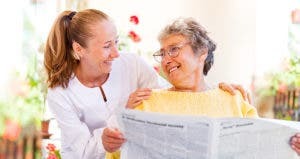 To locate a geriatric care manager in your area, visit AgingLifeCare.org. Timing is important when it comes to providing more care for an elderly parent. 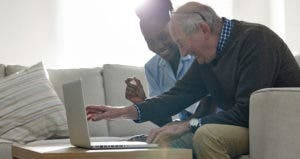 Nearly 90% of individuals over the age of 65 wish to stay in their home for as long as possible, according to a report by the National Conference of State Legislatures with the AARP Public Policy Institute. If your parent falls into this group, making a few changes in the home and bringing in help might be a viable option. Check if Mom or Dad could use grab bars for the shower, rugs that stick to the floor or better lighting. Some caregivers can provide thorough, around-the-clock elder care, which could help your parent avoid a future move to a nursing home. If you decide to hire a caregiver, look for one that is a W-2 employee of an insured agency. This way, you’ll avoid the risks involved with bringing an uninsured worker into your parent’s home and having your parent held liable if an injury occurs. “Every individual and family situation is different,” says Kay Bransford, president of MemoryBanc, which secures personal documents so they can be easily located, shared or passed on to loved ones. In Bransford’s case, her parents had already bought into a continuing care retirement community and were living in the independent living section when it was determined that more care was needed. “We had to work with the community to help our parents move into assisted living,” Bransford says. While you may be able to set up a satisfactory short-term solution, keep in mind that needs may change later on. Consider the expenses involved. Home health aide services cost about $125 per day, according to the Genworth 2015 Cost of Care Survey. 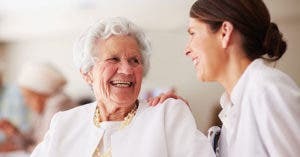 The national rate for adult day health care is $69 per day, while assisted living costs $118 per day, the survey noted. Furthermore, nursing home care runs $220 per day for a semi-private room. Also research a hospice service, an estate attorney and a Realtor. Add their information to the binder for your mom or dad so it can be easily accessed if needed. 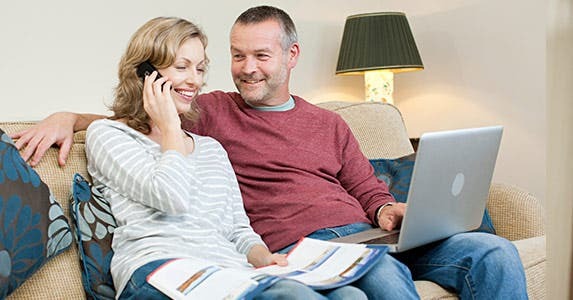 Above all, you want everything in place for peace of mind for your parent and family. “My dad ended up with a tumor on his tongue along with Alzheimer’s,” Bransford says.